Summer is almost here and what better way to celebrate than with the great American tradition known as the road trip? However, before the rubber hits the road, there are several things to consider. 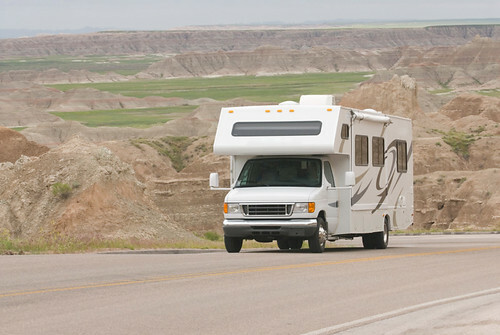 Read on to find out not only which areas of the country are the best for RV trekking, but also tips and tricks for planning your trip and getting the best fuel economy. How many people are traveling and are any kids coming along? Are there any special needs? Does anyone going on the trip have any health issues that need addressing? If this is the case, you’ll want to be sure the RV has the proper accessibility and that your road trip stays within a reasonable distance from medical facilities. What types of activities you would like to do? If you’re planning on doing some type of activity that requires hauling toys such as bicycles or jet skis, be sure your RV is up to the challenge. What amenities will you need? The range of facilities available for RV camping is quite broad and includes everything from upscale resort environments to dry camping (no electric, water or sewer hookups). How many days will the trip take and how many miles are you willing to go? This will play a large role in determining your itinerary and destinations. What is your budget? The answers to the above questions will, in part, determine your budget – and vice versa. Also impacting your budget will be whether or not you’re renting an RV if you don’t own one already. Rental pricing can vary greatly; so it’s a good idea to shop around ahead of time. Route 66. Get your kicks from Los Angeles to Chicago on this iconic cross-country itinerary. Western States National Park Loop. Begin and end in San Francisco, taking in nearly a dozen National Parks from Yosemite to Bryce Canyon. Stops in Las Vegas and San Diego can also be easily incorporated. Northeastern States Loop. This loop begins and ends in New York City, with a scenic drive through Vermont, New Hampshire, and Maine before heading back south through Massachusetts and Connecticut. South Florida Loop. Orlando is the city to begin and end this sunny itinerary, continuing to Miami, Key West, the Everglades, and Fort Myers. Take a side trip to Sanibel Island before heading back to Orlando, a major tourist destination on its own. Unfortunately, the cost of gas for an extended RV trip can be expensive. Luckily, there are several easy things you can do to improve your fuel economy. Make sure the engine is properly tuned. Some mechanics estimate that a properly tuned engine can use up to 50 percent less gas than a poorly tuned one. Make sure tires are inflated properly. Properly inflated tires can improve gas mileage up to 3.3 percent, according to FuelEconomy.gov. Use cruise control. Traveling at slower and more consistent speeds is a proven way to increase fuel economy, so set your cruise control for 55 mph on the interstate and enjoy the savings. Avoid filling the tank on a weekend. Prices generally are higher on weekends than on weekdays, so fill up during the week to get the most for your money. Reduce air drag. Anything sticking up from the roof of the RV can cause drag, which reduces fuel economy. Make sure any antennas are down and that the AC unit is covered. As long as there’s a gas station along the way and some space to park your RV, anywhere you can reach by a nice, wide, paved road is a potentially great destination, as long as you’ve got the spirit of American adventure with you!